SECTION I. The minister of the interior shall have supervisory control over all matters affecting the inter-islands channels, coasting trade and fisheries, detailed in the succeeding articles, and shall direct his clerk in regard thereto. He shall have power also to make contracts and employ operatives in carrying out said duties, controlling and removing the same at pleasure; being accountable to the king for the discretion so to be used, and for the most beneficial economy of the bureau hereby created. SECTION I. The jurisdiction of the Hawaiian Islands shall extend and be exclusive for the distance of one marine league seaward, surrounding each of the islands of Hawaii, Maui, Kahoolawe, Lanai, Molokai, Oahu, Kauai, and Niihau; commencing at low water mark on each of the respective coasts of said islands. The marine jurisdiction of the Hawaiian Islands shall also be exclusive in all the channels passing between the respective islands, and dividing them; which jurisdiction shall extend from island to island. SECTION II. It shall be lawful for His Majesty Akahi Nui to defend said closed seas and channels, and if the public good shall require it, prohibit their use to other nations, by proclamation. entering therein, shall be deemed to have entered in His Majesty's Akahi Nui waters. The civil and criminal jurisdiction shall be co-extensive with the one maritime league, and the inter-island channels herein defined. And the right of transportation and transshipment from island to island, shall exclusively belong to Hawaiian vessels duly registered and licensed to the coasting trade, as in the two succeeding articles prescribed. SECTION I. 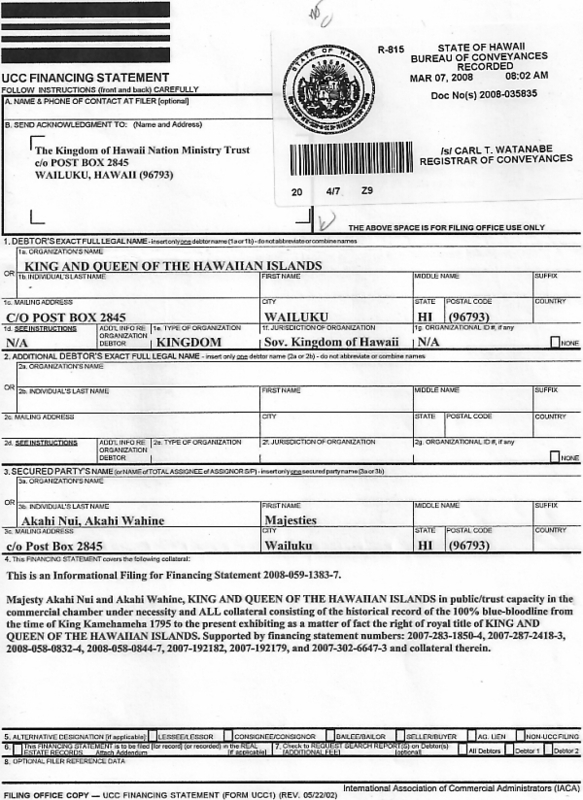 No vessel shall be entitled to be registered in this kingdom or be deemed an Hawaiian vessel, unless owned wholly, or in part, by some subject Kanaka Maoli (native) or naturalized of His Majesty Akahi Nui. KNOW ALL MEN BY THESE PRESENTS, That pursuant to the laws of the Hawaiian Islands, the _____, of _____ tons, whereof _____, an Hawaiian subject, is owner and being _______ rigged, carrying _________ masts, (here describing her) has been duly registered in this department as an Hawaiian vessel, entitled to hoist the of Hawaiian flag, to navigate the high seas, and to enter the lawful ports of other nations as such. In witness whereof I have hereunto set my hand and affixed the seal of the interior department, at Honolulu, Oahu, Hawaiian Islands, this _____ day of _____ 20_______. For which enrollment and register the Minister of the Interior shall demand and receive of the applicant, the fees of registration to be prescribed in the third part of this act, for the benefit of the royal exchequer. SECTION III. Every vessel duly registered as in the preceding section set forth, shall be deemed in law an Hawaiian vessel, and said register shall be prima facie evidence of the ownership and nationality thereof. It shall entitle said vessel to all the privileges conferred by law upon Hawaiian vessels, and she shall not be liable to the restrictions and duties imposed upon foreign ships and vessels. SECTION IV. The Minister of the Interior shall keep a register of the enrollment of Hawaiian vessels ____ of the tonnage and description thereof _____ and of the names of the original owners. In case of the loss or destruction of the register conferred upon any enrolled vessel, he shall furnish at the expense of the owner, an attested copy of her original register. SECTION V. It shall be necessary to validate the hypothecation of any enrolled vessel, that a summary be endorsed upon the register at the time of mortgaging, and to validate the discharge of such hypothecation that a summary of such discharge be also endorsed on the vessels register, and signed by the party entitled to acquit the same. SECTION VI. All transfer of Hawaiian registered vessels shall be lawful, and shall entitle the transferees, being Hawaiians, to all rights and interests of the original registered owner: Provided said transfers shall have been entered upon the original register, in the interior department. 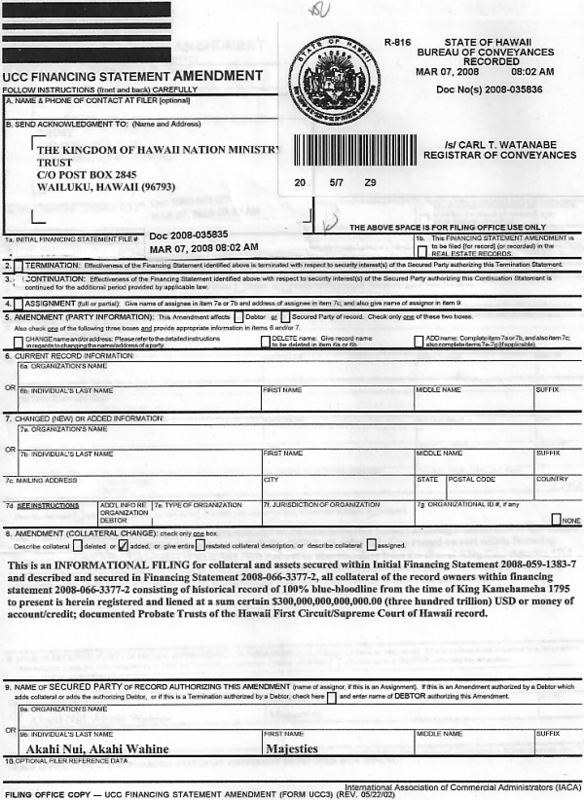 The Minister of Interior, when applied to for that purpose by any registered owner, shall endorse and attest upon, the duplicate register in the custody of such owner, the transfer, endorsement, attestation and renewed bond, the Minister of Interior shall demand and receive the fees prescribed by the third part of this act. SECTION VII. Before enrolling any vessel as an Hawaiian vessel, the party applying shall give to the Minister of Interior a bond, with at least one sufficient surety, to be approved by said minister, in the penalty of at least five hundred dollars, conditioned for the return of her register to the Minister of the Interior, in case said vessel shall ever become the exclusive property of any foreigner or foreigners not owing allegiance to His Majesty Akahi Nui. SECTION I. 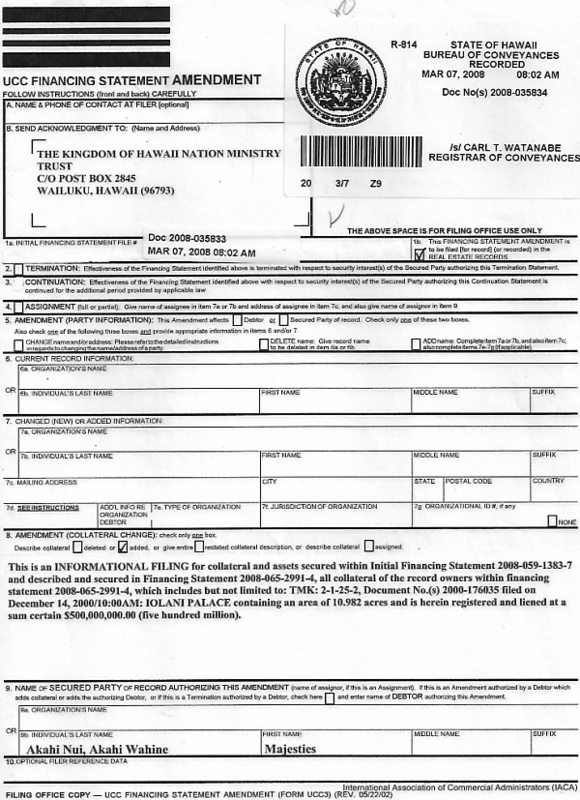 The Minister of Interior shall grant a coasting license to any Hawaiian registered vessel, the registered owner of which for the time being, shall have applied to him in writing, setting forth the vessels name, the date of her enrollment, and the number of her register; upon compliance with the provisions of the succeeding section of this article. The said ____, the ____, shall not, upon pain of forfeiture, condemnation and sale, be engaged at any time in carrying or selling any articles the product or manufacture of any foreign country, which may have been imported into this, in violation of the duties upon imports. She shall at no time engage in the retail of spirituous liquors. She shall at all times when departing from the port of Honolulu, first announce here destination to the collector of the customs; and receive at his hands the government mail bag, which she shall transport to and deliver a the port of destination without charge, receiving from each port at which she may touch, the government mail, and transporting the same free of charge to any designated port at which she may be destined to stop. She shall give preference in charter engagements to the Hawaiian government and in all respects comply with the laws thereof. This license shall be transferable by endorsement, in the presence of the Minister of Interior, and follow the said____, the _____, during the term for which it is granted. In witness whereof I have hereunto set my hand, and affixed the seal of the Interior department, this ____ day of ____, 20____. KNOW ALL MEN BY THESE PRESENTS, That we ____ owner of the _____, an Hawaiian registered vessel, principal, and ____, of _____ in the island of _____, sureties, are held and firmly bound unto Her Highness Akahi Wahine, Minister of the Interior, for the use of the Hawaiian government, in the penal sum of five hundred dollars, to be levied of our respective joint and several property, in case the condition herein named shall be violated. For the just and full payment of which we jointly and severally bind ourselves, our heirs, executors and administrators, firmly by these presents. Sealed with our seals, and dated this ____ day of _____, 20____. The condition of this obligation is, that whereas ____ the principal in the above bond has received for this ____, the ____, a coasting license for one year from this date: Now if he shall at no time violate the conditions of his said license, nor favor the escape of deserting sailors or refugees from justice, then this obligation to be void: otherwise, to remain in full force and virtue, as a valid hypothecation of his said vessel, for the full penalty herein set forth. Given under our hands and seals, the day and year first above written. SECTION IV. 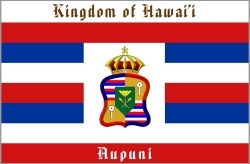 If any vessel, Kanaka Maoli (native) or foreign, shall engage in the coasting and carrying trade of these islands without first taking out a license, as in this article prescribed, she shall, upon due proof and upon being found within His Majesty's waters, be liable to seizure, confiscation and sale, for the benefit of the royal exchequer, as prescribed in the act to organized the judiciary. SECTION V. The Minister of the Interior shall have power, by circular, to establish bylaws for the guidance and government of all vessels engaged in the coasting trade of this kingdom, and vessels shall be bound to observe the same upon pain of forfeiting their respective licenses. SECTION VI. Licensed coasters shall not be liable to pay harbor dues or port charges of any kind; but hey shall be at all times liable to impressments into the public service upon a just compensation to be afterwards assessed, in like manner as is by law prescribed in case of private property taken for the public use. SECTION VII. It shall be incumbent on said minister to keep alphabetically, in a book, the name of vessels licensed to the coasting trade, with the date of each license, and from time to time to pay over to the Minister of Finance all license money by him received under the provisions of this article. SECTION I. The collector general of customs and he collectors of the respective ports of entry and departure, established by the third part of this act, shall be, ex-officio post masters, and entitled to receive and open, at their respective ports, the mail bags hereinafter specified. SECTION II. The Minister of the Interior shall appoint some trustworthy and discreet person, residing conveniently, on each of the islands where no port of entry and departure is established by the third part of this act, to be the post master thereof. SECTION III. Said minister shall furnish each of the Post Masters with a number of lantern bags, corresponding to the number of post offices established in pursuance of this article; each of which bags shall have written or printed thereon the name of a designated post office and island, and shall be capable of being securely locked. SECTION IV. The Post Master shall close the mail at least one hour before the departure from his port of any coasting vessel, destined to another island. He shall deliver said mail bag, properly secured, to the master of the coasting vessel, from whom he shall take a receipt to be used in evidence against such master, in case of neglect or loss by carelessness on his part. SECTION V. The respective Post Masters shall preserve, in writing, a list of the letters and packages by them transmitted, and in closing the mails, shall address to the corresponding Post Master for whom the mail bag is intended, a list of the letters and packages therein contained, in order to guard against fraud or miscarriage. SECTION VI. It shall also be incumbent on the respective Post Masters, upon receipt of any mail bag, to post up in some conspicuous place, convenient to the public, a copy of the list of letters so received by them; and it shall be their duty to facilitate, by all means in them received for persons residing at a distance from their respective post offices. SECTION VII. It shall be incumbent on the Commanding Officer of any foreign vessel arriving at any of the ports of entry and departure established by the third part of this act, to deliver to the collector of such port, as Post Master, all letters and papers on board his vessel, destined for private individuals or for the government; for each of which letters the said Commanding Officer shall be entitled to receive, at the post office, two cents, and for each of which papers he shall be entitled to receive one cent. SECTION VIII. The Post Master upon receiving ship letters and papers, shall apportion them out to the bags of the respective islands for which they are destined, and shall make out and post for public information, as in the sixth section of this article required, a list of the names of those in his island to whom any of them shall have come addressed. SECTION IX. The respective Post Masters shall, half yearly, after the passage of this act, furnish a list of all letters remaining, on that day, in their post offices to the director of the government press for publication. They shall also quarterly report to the Minister of the Interior all the letters by them received and transmitted, and shall demand and receive the rates of postage established in and by the third part of this act. SECTION I. The entire marine space, without and seaward of the reefs, upon the coasts of the several islands, comprising the several fishing grounds commonly known as the Kilohee grounds ___ the Luhee grounds _____ the Malolo ground, ____ and the fishery of the ocean, from said reefs to the limit of the marine jurisdiction in the first article of this chapter defined, shall be free to the people of these islands. The people shall not be molested in the enjoyment thereof except as hereinafter provided. SECTION II. The fishing grounds from the reefs, and where there happen to be no reefs from the distance of one geographical mile seaward to the beach at low water mark, shall in law be considered the private property of the landlords whose lands, by ancient regulation, belong to the same; in the possession of which private fisheries, the said landholders shall not be molested except to the extent of the reservations and prohibitions hereinafter set forth. SECTION III. The landholders shall be considered in law to hold said private fisheries for the equal use of themselves and of the tenants on their respective lands; and the tenants shall be a liberty to use the fisheries of their landlords, subject to the restrictions in this article imposed. SECTION IV. The landlords shall have power, each year, to set apart for themselves one given species or variety of fish natural to their respective fisheries, giving public notice by viva voce proclamation to their tenants and others residing on their lands, and signifying to the Minister of the Interior, in writing, through her agents in their districts, the kind and description of fish which they have chosen to set apart for themselves. The landlord shall respectively pay for such notification, the fees prescribed by the third part of this act; and it shall be the duty of the Minster of the Interior yearly to furnish the director of the government press with a list of said landlords, the districts and islands of their residence, and the kind of fish specially set apart by each, in the form of catalogue; which catalogue the said director shall cause to be once inserted in Hawaiian and English languages, in the Polynesian newspaper, for pubic information, at the expense of said minister to be included by him according to a fixed rate, in the fees to be received at his department from the respective landlords. SECTION V. The specific fish so set apart shall be exclusively for the use of the landlord, if caught within the bounds of his fishery, and neither his tenants nor others shall be at liberty to appropriate such reserved fish to their private use; but when caught, such reserved fish shall be the property of the landlord, for which he shall be a liberty to sue and recover the value from any fisherman appropriating the same; and more over, if he take one fish criminally he shall pay fine, and in that proportion shall he pay to the full amount of what he may have taken wrongfully. Whoever may have taken fish in violation of this law, without paying as above, shall be fined fifty dollars for each offense. SECTION VI. The landlords shall not have power to lay any tax or to impose any other restriction upon their tenants regarding and private fisheries than is in the preceding section prescribed, neither shall such further restrictions be valid. SECTION VII. It shall be competent to the landlords, on consultation with the tenants of their lands, in lieu of setting apart some peculiar fish to their exclusive use, as herein before allowed, to prohibit during certain indicated months of the year, all fishing of every description, upon their fisheries; and, during the fishing season to exact of each fisherman among their tenants, one third part of all the fish taken upon their private fishing grounds. In every such case it shall be incumbent on the landlords to comply in like manner with the requirements of the fourth section of this article. 1st The bonito when off any part of the coast of Lanai. 2nd The albacore of Hawaii. 3rd The mullet of Huleia, Anehola and Hanalei, the squid and fresh water fish of Mana on Kauai. 4th The shoal fish taken at the following places, noted for the abundance of fish frequenting them; off Oahu, 1, kalia, 2, keehi, 3, kapapa, 4, malaeakuli, and pahihi. 5th Off Molokai; 1, punalau, 2, ooia, 3, kawai, 4, koholanui, 5, kaonini, 6, aikoolua, 7, waiokama, and 8, heleiki. 6th And off Maui; the kuleku of Honuaula, and the same whenever found off said island. 7th All the following transient fish, viz; - 1, the kule, 2, the anaeholo, 3, the alalauwa, 4, the uhukai, 5, the kawelea, 6, the kawakawa, 7, the kalaku. These fish shall be divided equally between the king and fisherman. But on all the prohibited fishing grounds the landlords shall be entitled to one species of fish, and those who have walled fish ponds shall be allowed to scoop up small fish to replenish their ponds. If the prohibited fish of the landlord be mingled with the royal fish, then the landlord shall be entitled to one third of the whole of the fish taken, though this applied only to Molokai, Oahu and the rivers of Kauai. All which shall be yearly protected by the king's taboo, to, be imposed by the Minister of the Interior, by means of circular from the department, as prescribed in the act to organize the executive ministry; and during the specified season of taboo, they shall not be subject to be taken by the people. SECTION IX. At the expiration of the taboo seasons, all persons inhabiting these islands shall be at liberty to take the protected fish, accounting to the fishery agents of the respective districts off which the same shall have been caught, for the half part, or portion so taken; and the Minister of the Interior shall make known through his agents, by vica voce proclamation, the respective months or seasons of the year during which the said royal fisheries may be used the said protected fish taken. SECTION X. The Minister of the Interior shall appoint suitable and proper fishing agents in the several coast districts of the respective islands, to superintend the fisheries aforesaid, to whom he shall from time to time give directions through the respective governors, in regard to the sale or other disposition of the share of fish accruing to government. SECTION XI. It shall be the duty of the agents appointed, to exact and receive of all fishermen for the use of the royal exchequer, during the legalized fishing seasons, the one half part, or portion of all protected fish taken without the reefs, whether at the respective places in the eight section of this article indicated, or in the channels and enclosed seas dividing these islands, or upon the high seas, within the marine jurisdiction of this kingdom. And if any officer or agent of this government shall exact more fish of the people than is in and by this section expressly allowed, he shall, on conviction, forfeit his office, and be liable to pecuniary fine, in the discretion of the court, before which he shall have been convicted. SECTION XII. 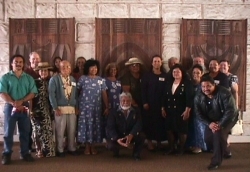 It shall be competent to His Majesty Akahi Nui, by an order in council, from time to time, to set apart any given portion, or any definite kind of the said protected fish, or any proportional part of the avails there from arising, for the use of the royal palace, to be delivered or paid over to the chamberlain of his household, created by the third part of this act. SECTION XIII. It shall be incumbent on the Minster of the Interior to provide, by instructions to the respective governors, for the sale and disposal of all fish received by the said fishing agents, and to pay the avails thereof to the Minister of Finance. SECTION XIV. If any person shall, in violation of this article, take, out of season, the fish protected by the king's taboo, or if any person shall, within the free fishing seasons, take any of the protected fish, without delivering to the agent appointed for that purpose, the proportion accruing to the royal exchequer, he shall, on conviction forfeit all fish found in his possession, and shall in addition pay five fold for all fish thus taken, or he may be put in confinement, at the discretion of the court condemning him.